This is a roundup of my favourite nail polishes from 2013. 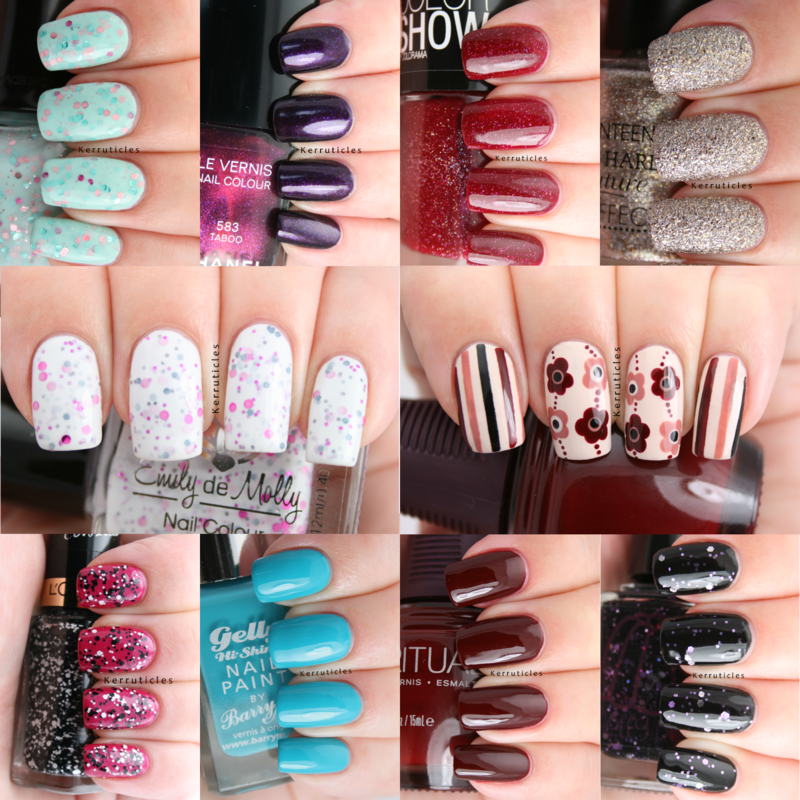 These are all polishes that have been released in 2013, and which I have worn. So this list, unfortunately, leaves out many polishes that might be great, but I just haven’t discovered that yet as they are still sitting in my untried pile! I doubt that my favourite nail polishes will be the same as many other bloggers’ that I have been reading lately. I don’t own a single Zoya, for example; I’ve only bought a handful of OPIs; and I don’t really buy international indies (thanks Royal Mail!). There’s a good spread of polish types in my list. 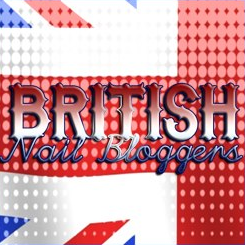 While I do have an international polish and an international indie, there’s also a UK indie, some top-end polishes and a fair few mainstream polishes that are available in the likes of Superdrug and Boots. Without further ado, let’s get onto the list. I’ll start with my very favourite, but apart from that, they are in no particular order. Sakura came out right at the beginning of the year , but I didn’t buy it until it was stocked in Sally Magpies in June. It’s a beautiful polish with pink and charcoal glitter in a white base. It’s simple and understated and not overcrowded with glitter. Gorgeous. 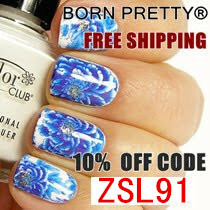 I first saw the Yogurt Nails collection of Korean polishes on Cazzy Durcan’s blog, SpecialGirl Nails. She didn’t have this Apple Mint one, but when I went to the site I loved it, so bought it along with another. I’ve since bought Revlon Whimsical, which is very similar, but isn’t as opaque and doesn’t have the magenta glitters. I don’t have a swatch of My Vampire Is Buff on its own, as I’ve only ever used it in nail art. And I’ve used it a lot! But I have a backup bottle now though, so I don’t have to ration my use of it. I fell in love with Taboo ages before it was released and waited patiently for its arrival in the UK. I do wish Chanel would make more of a splash with their marketing of polishes in the UK (maybe I could help them! 😉 ) It’s just that, even though I’m on various Chanel mailing lists, I don’t think I’ve ever seen a UK polish launch announcement. But, I’m lucky that my husband works in London and is happy to trek to various Chanel outlets for me every now and then. Confettis is a black and white glitter top coat that I haven’t worn anywhere near as much as I should have. It’s great for extending a manicure as it will go well over practically any colour. It was a close call between Guava and OPI Can’t Find My Czechbook for the best deep turquoise. I adore Can’t Find My Czechbook, but this just shades it for me, only really because it’s cheaper and easier to get hold of. Nelly Polish is the world’s first polish available in powdered form – which makes it possible to be sent abroad without breaking Royal Mail’s annoying posting restrictions. I was lucky to be sent Mena for review and it’s completely gorgeous. Like Sakura, I think I’m drawn to it because of the simplicity of the colours and the fact that it’s not overloaded with glitter. I find that I don’t like a lot of UK indies sometimes. The makers seem to get carried away with putting as many different types and colours of glitter in as possible, and sometimes a cracking polish can be as simple as two sizes of lavender and silver glitter in a black base – like this. I love the scattered holos that Zoya makes, but they are expensive and only available online. Wine Shimmer was a great find that’s as gorgeous as the Zoyas look (even though I desperately still want Storm, Blaze and Payton!) and can be picked up on the high street. I’m very lucky to be a reviewer for SpaRitual. They make gorgeous polishes that come in wonderful, Ferrari-designed bottles, with rubberised, soft-grip brush handles. I love every single one I’ve been sent so far, but From The Heart is a great staple for me. It’s a classic and sophisticated colour that also looks great on toenails. Charm Bracelet is just beautiful. It’s shiny and glittery and I normally wouldn’t choose to wear a gold polish on its own, but this is really spectacular. So that’s it for my picks of the year. What were yours? 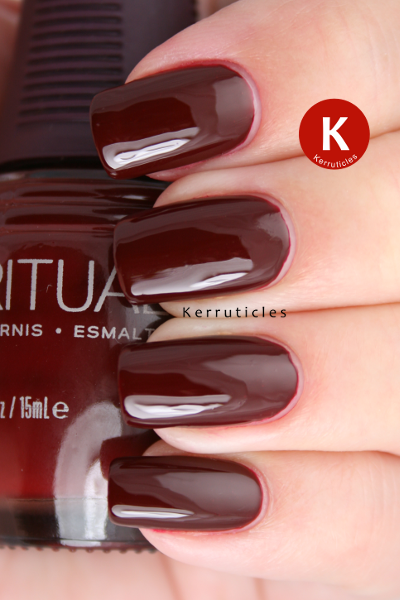 SpaRitual From The Heart, Nelly Polish Mena and Barry M Guava were sent to me for review. All views expressed in this post are my own, honest and unbiased opinions. Yes, he’s a very good man indeed. I am very lucky he treks across London to seek out polish for me. He does complain sometimes though when he thinks I’ve spent too much on polish!